Doctors worldwide are seeking an effective, quicker way of identifying life-threatening fever caused by bacteria in pre-verbal infants in paediatric emergency departments. Dr. Sinead O’ Donnell’s research, under the supervision of Professor Ronan O’Sullivan, has significantly contributed to this global effort. Children under one year arrive into the emergency department with an undiagnosed fever; it is crucial that doctors determine, as soon as possible, whether the source of that fever is bacterial or viral. The viral form, which accounts for 90% of fever cases in infants, is not life threatening, whereas fever caused by bacteria, affecting 10%, can be. The practice up to now has been – in the absence of a quick, reliable diagnostic test – to treat all undiagnosed infant fever cases as bacterial in origin. This ‘better safe than sorry’ approach means that most infants arriving at hospital with undiagnosed fever will undergo an unnecessary battery of tests, including giving blood and urine samples, x-rays and lumbar punctures over a 48-hour period. Dr Sinead O’Donnell addressed the issue of the lack of a reliable test for undiagnosed febrile illness – or fever – in infants under one year for an NCRC-funded MD research project, which was supervised by Professor Ronan O’Sullivan, a consultant in paediatric emergency medicine at Our Lady’s Children’s Hospital Crumlin (OLCHC). 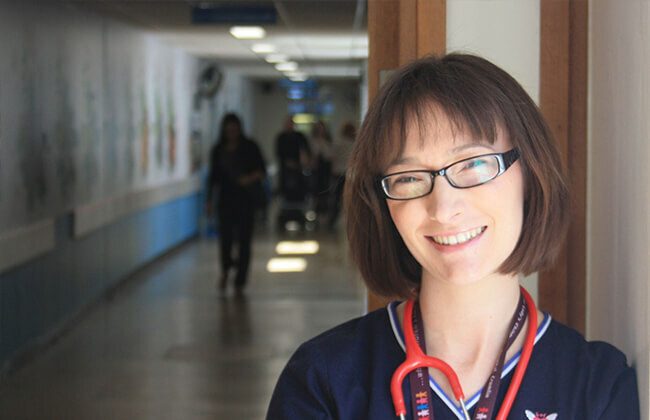 One of the main reasons Dr O’Donnell chose to this topic to study, she said, was because it is a common, potentially dangerous problem that physicians must deal with in the emergency department at OLCHC, accounting for one quarter of admissions – 9,100 infants per annum. Dr O’Donnell examined 200 children less than one year who presented to the ED in OLCHC with undiagnosed fever as part of her research. The main goal of the study was to find a marker in the blood of children with undiagnosed fever that could definitively identify whether the fever was due to viral or bacterial infection. No such test exists, and it is the Holy Grail in this area of medicine. Sinead’s work, not yet published, required her to develop laboratory research skills as she looked for molecular markers that might be developed into a diagnostic test. The work, which is ongoing, has shown a really exciting marker that initial results show with a high degree of accuracy in separating the two types of infection. This could really help to solve a diagnostic conundrum. The future work will require careful follow up of these initial results to validate the observation.